Seventy four-year old Zaibunnisa Anwar Kazi and actor Sanjay Dutt were convicted for the same offence of hoarding ammunition. Both were sentenced to five years imprisonment. Yet, when Sanjay Dutt’s sentence was remitted last year, Zaibunnisa’s sentence was not remitted despite her age. Zaibunnisa, who exhausted all her remedies including the curative petition in the Supreme Court, was not found meriting sympathy on the ground of her age. Haryana’s former Director General of Police, S.P.S.Rathore, on the other hand, despite being convicted and sentenced for sexual molestation of a minor girl, did not undergo the full sentence of 18 months imprisonment because the Supreme Court decided that justice would be served if his sentence was reduced to five months, which he had already undergone. Reason: He was 74 years old. Today, Uphaar cinema’s owner, Sushil Ansal, was the beneficiary of the Supreme Court’s benevolence, on the ground of his advancing age, in the Uphaar tragedy case, in which 59 people lost their lives in 1997. The disparity on the ground of age is just one factor, which exposes the double standards in sentencing. “The fundamental purpose of imposition of sentence is based on the principle that the accused must realize that the crime committed by him has not only created a dent in his life, but also a concavity in the social fabric….It is obligatory on the part of the court to see the impact of the offence on the society as a whole and its ramifications on the immediate collective as well as its repercussions on the victim”. It cannot be said that post-Uphaar tragedy, the number of disasters, caused by negligence and indifference to safety norms in public places by those responsible, has been on the decline. Justice Dipak Misra had rightly noticed in Saurab Bakshi, that the accused had lost all respect for law, and believed that he could escape substantive sentence by payment of compensation. Justice Dipak Misra had also concluded in that case that young age of the accused could not be a ground for substituting imprisonment with fine. He held that the High court had been swayed away by the passion of mercy in applying the principle that payment of compensation is a factor for reduction of sentence to 24 days. In today’s order, the Supreme Court may not have justified Sushil Ansal’s lesser sentence, in lieu of the compensation he paid, as it was precisely the subject of review. Instead, justices Ranjan Gogoi and Kurian Joseph, cited his advancing age, for not subjecting to enhanced prison term. Sushil Ansal, having regard to the advance age related complications, and having regard to the fact that, of the one year period imposed by the High Court, he has already undergone around nine months including remission, his sentence of imprisonment is reduced to the period undergone, Justice Kurian Joseph wrote in the order, on behalf of himself and Justice Gogoi. It is absolutely in the realm of misplaced sympathy, Justice Dipak Misra wrote in Saurab Bakshi, while expressing his disappointment with the High Court’s reduced sentence for the accused. “It is in a way mockery of justice”, Justice Dipak Misra further wrote, and called upon the lawmakers to scrutinize, re-look and revisit the sentencing policy in Section 304A IPC. “We say so with immense anguish”, he wrote, sitting with Justice Prafulla C Pant. 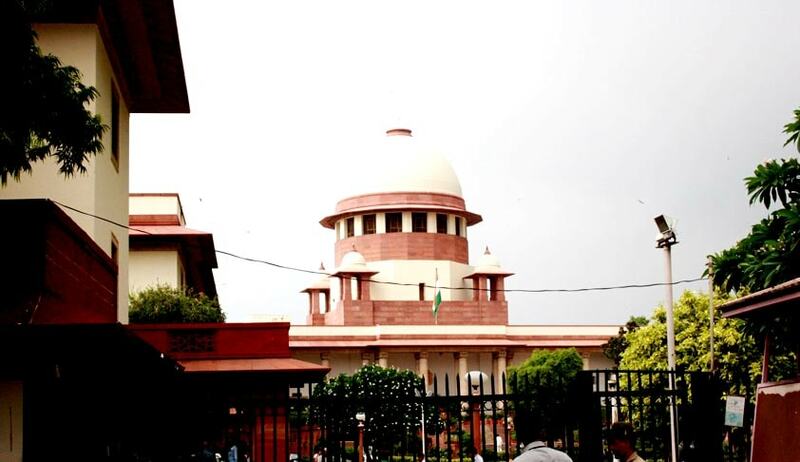 Although justices Kurian Joseph and Gogoi did not show similar misplaced sympathy to Gopal Ansal, the co-convict in the case, and directed him to complete the remaining prison sentence of six months, the two Judges have to introspect whether their reasoning with regard to Sushil Ansal is at odds with Saurab Bakshi. Justice Adarsh Kumar Goel, in his dissent, did not agree with his brother Judges on Gopal Ansal’s sentencing, and did not believe that higher fine is a extra benefit to a rich person. Justice Goel, on the contrary, reasoned that higher fine was imposed on account of capacity to pay. Justices Gogoi and Kurian Joseph, however, found the substitution of sentence by fine clearly an error, committed by the previous bench. The previous bench enhanced punishment to the maximum period of two years, but substituted the additional period of one year with substantial amount of fine. Thus justices Gogoi and Kurian Joseph clearly found that there is no provision under the IPC for substitution of sentence by fine. Justice Goel, on the other hand, skips this issue in his separate order. India, it appears, has a long way to go in ensuring proportionality in sentencing, and use it as a deterrence to make corporates accountable for their omissions and commissions, for causing mass disasters in public places.